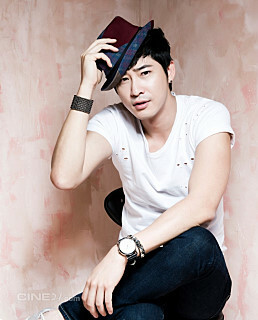 KANG Ji-hwan, the star of hits such as Rough Cut (2008) and My Girlfriend Is an Agent (2009), has signed on to the lead of a new romantic picture. Romance Game is the second film from director HAN Deok-jeon, following 2000’s If. In the romantic feature, KANG will play a suave thief who also has a knack for stealing woman’s hearts. The as yet uncast leading female character will be a rookie detective unlucky in love. KANG most recently starred in the romantic/crime hybrid Runway Cop while he also wrapped production on KIM Tae-sik’s Shoot Toward the Sun (literal title) in July, a film which is currently awaiting release. Co-starring with KANG will be reliable supporting player KIM Jung-tae, who just this year has already appeared in Man on the Edge, Miracle in Cell No. 7, How to Use Guys with Secret Tips, Mr. Go and Tough as Iron. Production on the feature will commence this month, with a release expected next year.